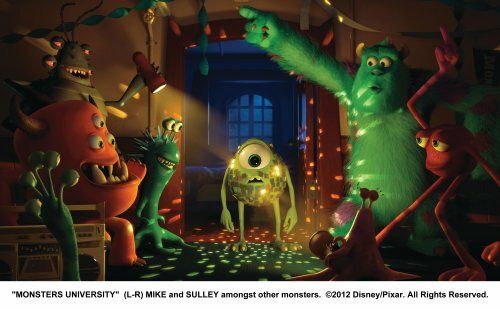 I’ve just been going through some images for the upcoming prequel to Monsters Inc, Monsters University. That got me thinking about why some people think that making a prequel is a good idea. Sequels on the other hand do tend to work as they take the story and move it on. A good one for this is the Bourne films. Three films that takes the story and moves it on. The first Star Wars sequels (Episodes V & VI) do this very well. When a prequel to a very well know, and financially successful film comes out you do tend to wonder if they are doing this for a cash-in? What it seems to be is either a forlorn hope of bringing back a set of characters from an incredibly famous film or a way to show what happened in the lead up to what happened in the previous film. A good example of the “forlorn hope” idea is that of the prequel of Dumb and Dumber, Dumb and Dumberer: When Harry Met Lloyd. Made in 2003, 9 years after the original and set in a strange version of 1986 where Ice Ice Baby was out, people drive late 90s cars etc. Another good example of why sequels and prequels fall flat and don’t seem to have anything to do with the original bar using the same names of the characters is when the original writers disassociate themselves from the project. The Dumb and Dumber prequel and Airplane II are two good examples of this . This could also be a good reason why they don’t do well at the box office compared to their superior predecessor. After a short while on google, I found this page over on Wikipedia. After ignoring all of the prequels that went direct to video I discoverd that the second Indiana Jones film was a prequel. It’s something that I hadn’t realised.